Flowers provide a means of unspoken communication, a language evident from the writings of Jane Austen and William Shakespeare to Princess Kate’s bridal bouquet. 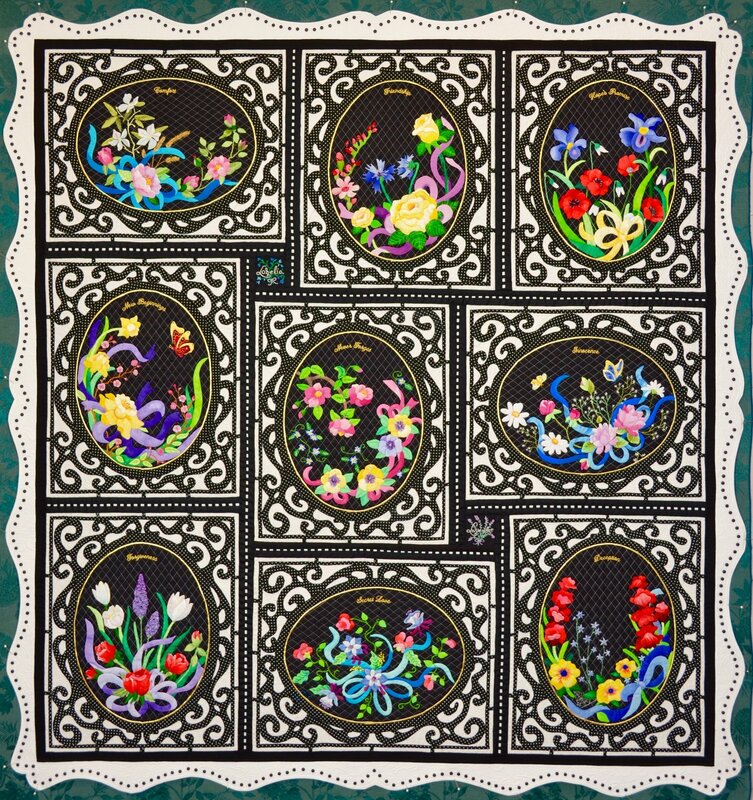 The blocks in Kathy McNeil’s Language of Flowers quilt convey heartfelt messages through lovely appliqué tussie mussies. 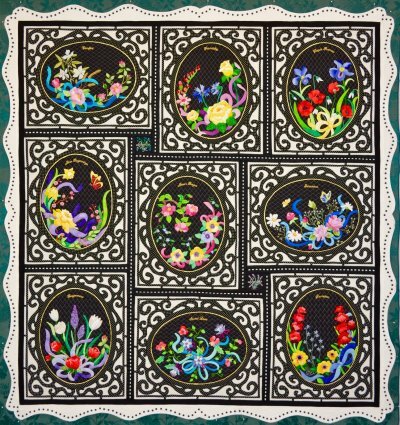 Each of the nine blocks include three floral symbols in a graceful arrangement, bordered with an oval frame and appliqué lace work. When combined, the quilt measures 48½" x 52" before adding the scalloped 3" outer border. The set includes fabric requirements, nine block patterns with general as well as detailed individual block instructions, diagrams for embroidery accents, and border and finishing instructions.